Giant dairy co-operative Fonterra has lifted its forecast milk price for farmers in the season about to end and come out with a stronger than expected forecast for next seasons's price, leading to suggestions the Reserve Bank will need to increase interest rates sooner than it currently expects. Fonterra's forecast milk price to farmers for this season has been raised to $6.15 per kilogram of milk solids from $6 previously. And Fonterra has made its opening forecast for the forthcoming season - of $6.50. That's higher than economists were predicting as an opening gambit, though several economists ultimately see the price for the new season ending up being around $6.75. As far as the current season is concerned, Fonterra is still targeting a dividend of 40c, which means the projected total payout to farmers will be $6.55 - a vast uplift on the total payout of just $4.30 for the previous season. "This announcement is more bullish than we expected," ASB senior rural economist Nathan Penny said. Penny had in fact been probably the most 'bullish' of economists in the early part of this season, predicting a milk price of $6 when other economists expected much lower. Penny said Fonterra's opening forecast for next season is likely to lead to an increase in farmer confidence and bring forward some farm spending and investment. "The strength of that opening forecast consequently reinforces to us that the RBNZ is likely to lift the OCR sooner than its late 2019 view. We continue to expect OCR increases will occur from late 2018." Federated Farmers Dairy Industry Chair Andrew Hoggard said many dairy farmers throughout the country "will be enjoying their lunch today". "This is great news and comes after a turbulent few years where the industry has been under the pump." Hoggard said based on Fonterra’s forecast and current production cycles, around $280 million dollars is expected to flow through the New Zealand dairy sector and wider provincial communities this season. "If you take on board the amount of milk we are producing at present this means the average dairy farm in the country will be around $23,000 dollars better off. "This will enable farmers to invest in their business and farm infrastructure, which has perhaps not been priority in the past two years in what has been a challenging time just trying to survive." Fonterra chairman John Wilson said the increase in the milk price forecast for the current season reflected the "strong fundamentals" supporting global dairy markets. "“World dairy prices have risen in recent months and as we near the end of the season we have more visibility and certainty which makes us confident of our $6.15 position." The increase in the forecast Milk Price for the current season and the improved forecast for 2017/18 would be "welcome news for our farmers following two challenging seasons on farm", Wilson said. Stronger production in March and April had partly offset lower peak milk production and collections are now expected to be down 3% for the season, "a much better outcome for our farmers than had been anticipated earlier in the year", Wilson said. The likely dividend payout for this season of 40c will come from a forecast earnings per share range for Fonterra of 45c to 55c, which is unchanged from the last update in March - although it was slightly trimmed at that point. While the co-operative has announced the first forecast price for the forthcoming season, of $6.50, it has yet to provide a forecast range of likely earnings per share in the new year. Wilson said that would come "around the beginning of August". The company also updated the market on its financial performance in the third quarter of its financial year. Fonterra’s revenue of $13.9 billion for the first nine months of 2016/17 was up 8% on the same period last year, as a result of higher milk prices. Chief executive Theo Spierings said Fonterra's "volume to value strategy" was driving the performance in the Ingredients and Consumer and Foodservice businesses. "Margins in most of our businesses are similar to last year, and we have moved an additional 350 million liquid milk equivalent (LME) into higher value products in the year to date. Consumer and Foodservice volumes in Greater China in particular have grown by 40% in the period. "We are on track to exceed our target of moving an additional 400 million LME into higher value products by year-end." Better than expected autumn weather conditions had resulted in more milk at the end of the season, "which combined with higher milk prices is good news for the co-operative". Spierings said however, that previously signalled challenges, including product stream returns and pressure on margins, had a greater impact than expected in the third quarter. "The closing of the relative price gap between reference Milk Price products and non-reference products has reduced overall profitability in our Ingredients business." Mr Spierings said. 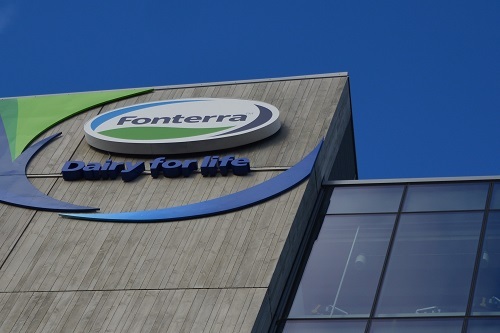 Fonterra had continued to manage costs "tightly", with operating expenses for the nine months down 4%. "Efficiencies and improvements in working capital are ongoing, and capital expenditure is in line with expectations and expected to reduce in the 2017/18 year. Our gearing is forecast to be in the target range of 40-45% at the conclusion of the year. All these factors contribute to the continuing strength of the Co-operative’s balance sheet," Spierings said. Doesn't the US have a glut of Cheese and other milk products going into storage? How is Fonterra so successful when the US cant sell off their over supply? Not complaining just confused. Glad things are looking up for NZ Dairy! Economic growth in developed countries slowed sharply in the first three months of 2017, as the U.S., the U.K. and France experienced weak starts to a year that is widely expected to yield an acceleration of the global recovery. Maybe this will pay the way for a few changes in the industry. This year we turned down four jobs before we had another one to go to, three of those positions still do not have anyone to take over on June 1st. All are management type positions where the owner can't just walk back into the shed. Biggest turn off? Accomodation ridiculously substandard, but the poor remuneration and working conditions also rate. No doubts the drugged up lazy locals will be to blame. Must be getting close to desperation time for those employers surely? Good for you with the character and wit to avoid those horrible situations for you & yours. I hope they're not relying on lots of Chinese mothers having more babies since they relaxed their one child policy? Did you know that almost 50% of women don't want children in these modern times and who can blame them! After announcing a two-child rule in October 2015, officials estimated an increase of four million additional births a year through 2020--but last year births increased by just 1.31 million from a year earlier to 17.86 million. With Trump in the news and in other news, lets go Russia Russia Russia . 1. Continued strong performance in Australia?!?!? 2. China Farms Gross Margin 1%, FX? Overhead?